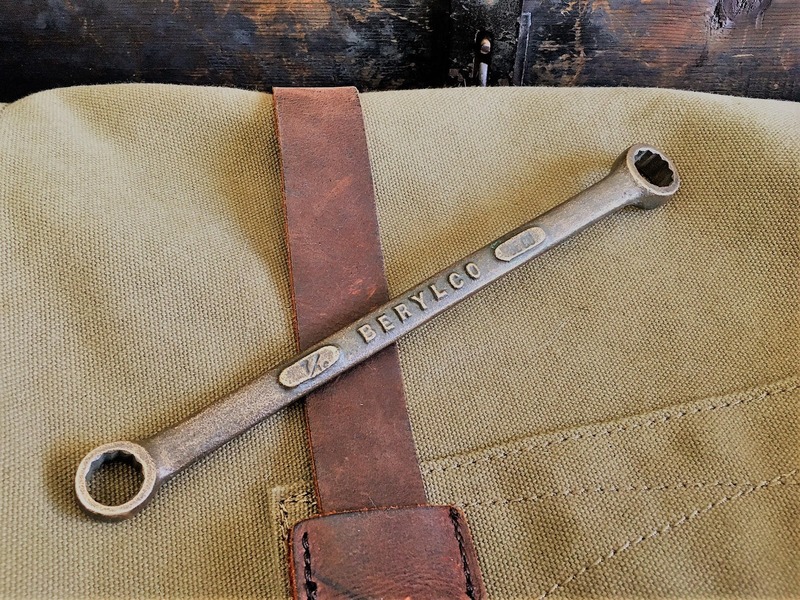 Featured is a vintage Beryllium Copper, non-sparking wrench by Berylco. 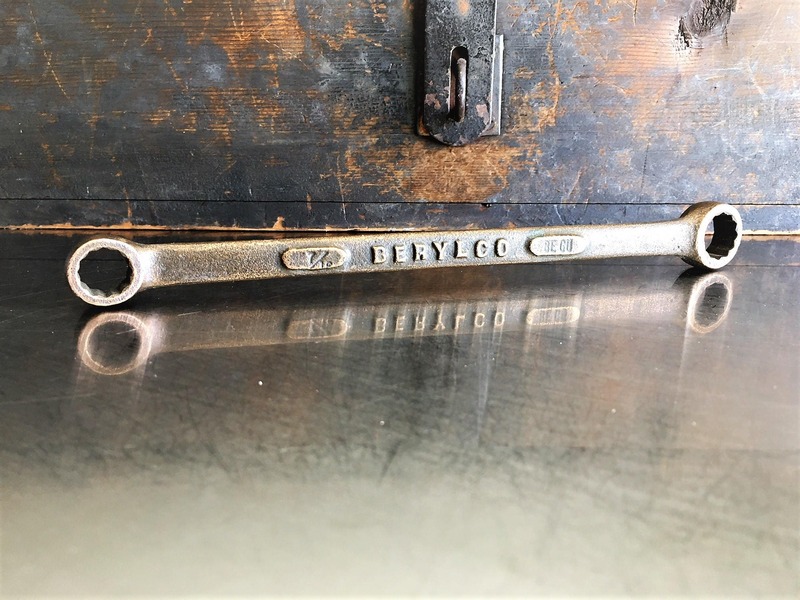 It is a combo box end, 12 point wrench in size 7/17 and 1/2. It is 7 3/4 inches long and in excellent vintage condition. Beryllium copper (BeCu), also known as copper beryllium (CuBe), beryllium bronze and spring copper, is a copper alloy with 0.5—3% beryllium and sometimes other elements. Beryllium copper combines high strength with non-magnetic and non-sparking qualities. 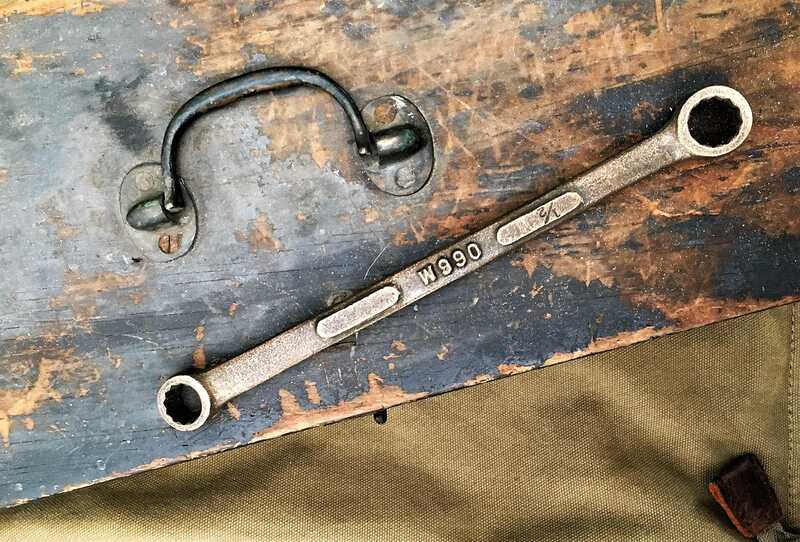 It has excellent metalworking, forming and machining properties. 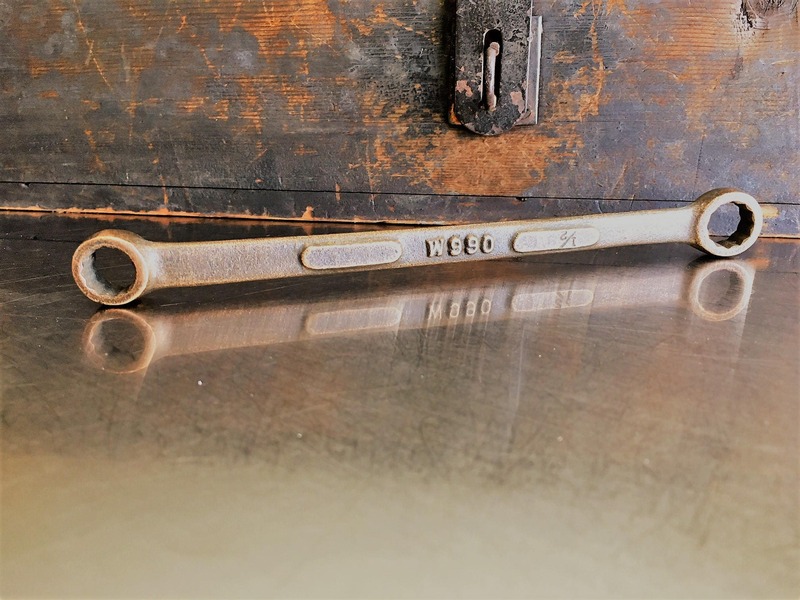 It has many specialized applications in tools for hazardous environments, musical instruments, precision measurement devices, bullets, and aerospace. Beryllium alloys present a toxic inhalation hazard during manufacture.